The whole team at Mercure Nice Marché aux Fleurs hotel welcomes you to the French Riviera. Take advantage of our seafront location in the center of the city and visit Old Nice and the Promenade des Anglais. The Mercure Nice Marché aux Fleurs hotel enjoys an exceptional location, on the beachfront and directly overlooking the Promenade des Anglais. This 4-star hotel with 49 rooms, but no lift, is just a few yards from the tram route and 5.3 miles from Nice International Airport. Staying at the Mercure Nice Marché aux Fleurs hotel provides you with an ideal base in the town center, in Old Nice, a short walk away from Cours Saleya and its famous Flower Market. Free WIFI and 3 public paying car parks nearby. Discover the small streets inspired by Genoa, the Château hill, the port and the MAMAC Museum. This Mercure hotel is a stopover to choose for a business trip, leisure activities amongst friends or with the family. The Mercure Nice Marché aux Fleurs hotel welcomes you to its air-conditioned rooms with a Provence theme. The hotel offers three levels of comfort, Standard, Superior or Privilege Rooms with views of the courtyard, the street or Old Nice. 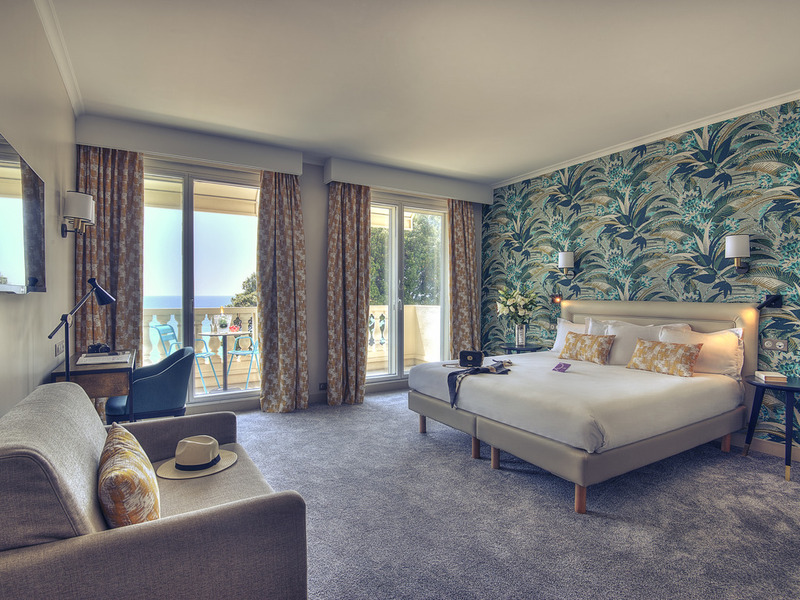 Some rooms have views of the sea and the Promenade des Anglais. The hotel also has Duplex Rooms that can accommodate up to 3 people. WIFI is free of charge in all rooms. 2015년 8월 13일부터 14일까지 1박 했습니다. 시설은 매우 깨끗했고 리셉션 직원들은 아주 친절했습니다. 해변 바로 앞에 위치해서 수영하고 들어오기도 좋았고, 호텔 바로 뒷편이 니스 구시가지여서 식사 및 관광하기에도 편리했습니다. 위치, 시설, 친절도 모든 면에서 만족스러웠습니다.